Rankk is about solving challenges, discovering and learning new knowledge. It's a journey, a sacred, personal experience. The site is a reincarnation of The Pyramid, an earlier attempt at assembling a set of challenges for those who enjoy solving problems. You start with the easy levels and progress to the intermediate and hard levels by solving the minimum number of required challenges at each level. The journey to the top is an arduous yet rewarding one. You need to be sufficiently determined and persevering to go far. 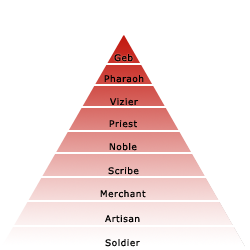 Only a few are expected to reach the apex and attain Geb. Membership to Rankk is free. Your journey begins NOW!